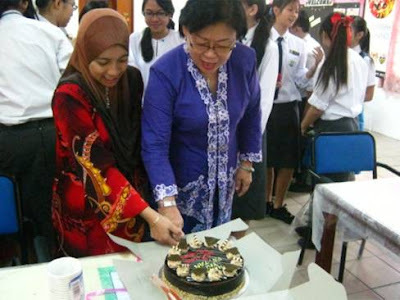 On the 16th of February, the School Resource Centre had a small gathering to celebrate quite a few things lumped up from last year. 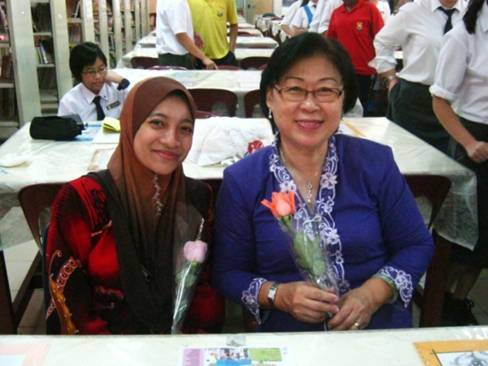 One of the main highlights was the farewell of our former Coordinator, Pn. Tan Soa Tiam, and with that the official welcoming of Pn. Sabrina. After speeches of both joy and sadness, Pn. 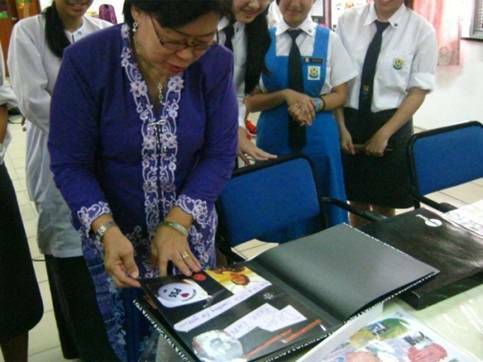 Tan was given a goodbye gift by the School Resource Centre Board of many fond memories under her . The School Resource Centre Prefects even put up a brief dance for her, with the duo popping to the beats and presenting roses to both teachers. Other than that, PMR examination candidates too got lauded on that day, with a cake being made for them for their efforts in the library and also their hard work in making our school’s exam results a booming success! With the interviews already done and concluded earlier in the week, soon new faces would complement that of Pn. Sabrina and hopefully refresh the club that is the School Resource Centre!